Here at Professionals Roofing Specialists we are experts in Bitumen Felt roofing. Wether that be repair or installation we have it covered. This is a sure fire way of weather proofing flat roofs, by using more than one layer of bituminous roofing felt which is fixed to the previous layer. 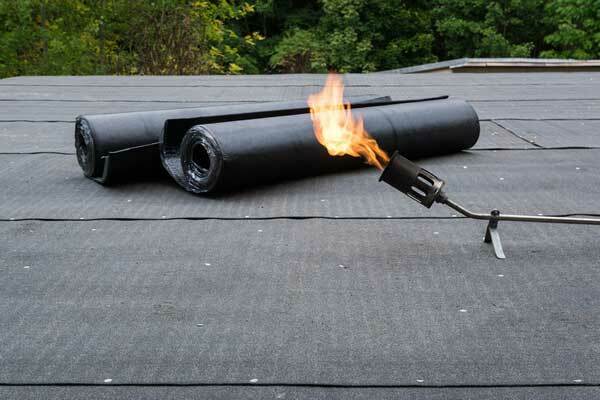 Rubberized bitumen roofs are tough, flexible, thick and waterproof. They can be fixed both vertically or horizontally to assure water will not migrate beneath the membrane in the event of physical damage. Chippings may be layered on top to protect further from the elements. Our team of experts are on hand to answer any questions you may have regarding Bitumen Felt Roofing.